AI technologies have emerged as transformative tools affecting all industries, business functions, and the interaction between people and computers. 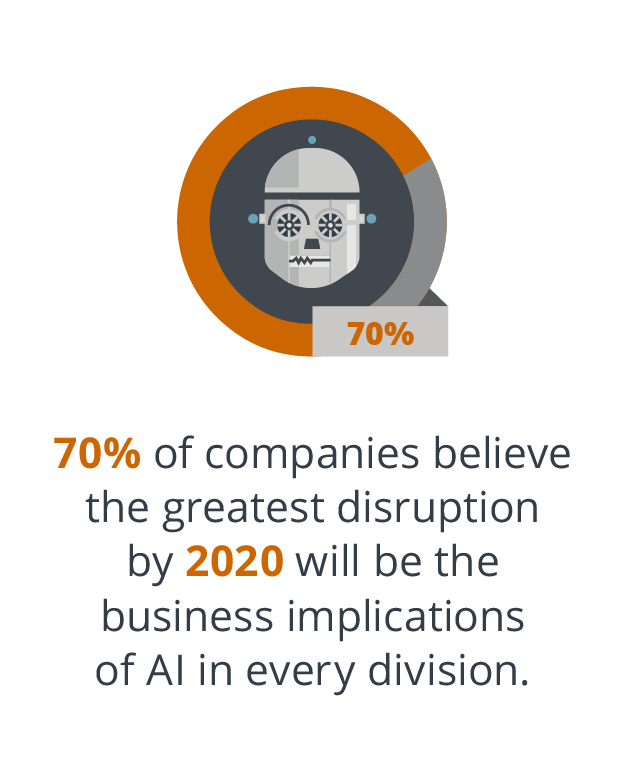 The business implications of AI are spreading across almost all areas of business. In light of this, it’s essential for business leaders to become more familiar with existing and emerging technologies in order to prepare for the inevitable implications for leadership and management. Is artificial intelligence killing jobs? In the Artificial Intelligence: Implications for Business Strategy online program offered by the MIT Sloan School of Management and the MIT Computer Science and Artificial Intelligence Laboratory, a large focus of the content is on the business implications of AI and preparing for these changes. The intention of the program is to differ from other AI courses which are often technical in nature or with a technology-focused approach, by rather having a business-oriented approach. In order to understand fully how AI will impact the future of work, the program seeks to explore the core features of AI technologies from a business perspective. 1. Exploration of the different kinds of AI. Robotics can be defined as the automation of physical tasks. Yet the term ‘robot’ can be used when referring to systems automating information-processing tasks. An example of this includes ‘robo-advisers’ helping clients manage their investments. 2. The impact of AI on the workforce and society. A key focus of this unit will be on the impact AI will have on employment. Simply put, AI is feared by many. In fact, 60% of those who completed a survey on AI said they fear the use of robots will lead to fewer jobs within the next 10 years.3 However, despite these fears, the labor market has in fact risen. MIT faculty and industry experts from this program provide an in-depth understanding on the business implications of AI and how these can be prepared for, in the form of interactive videos and additional resources. Further topics discussed include the O-Ring Theory and the productivity paradox. 3. The ethical implications of the human-machine partnership. One of the business implications of AI is ethics when adopting these new ways of doing things using machinery. This topic is explored in this unit to understand why organizations should care about AI ethics, with the solution often ensuring a human is involved somewhere along the way. Are you ready to explore AI from a business perspective and learn to integrate AI into your organization with MIT?